It is located at the centre of the restaurant and party area, the Old Town (Parte Vieja). 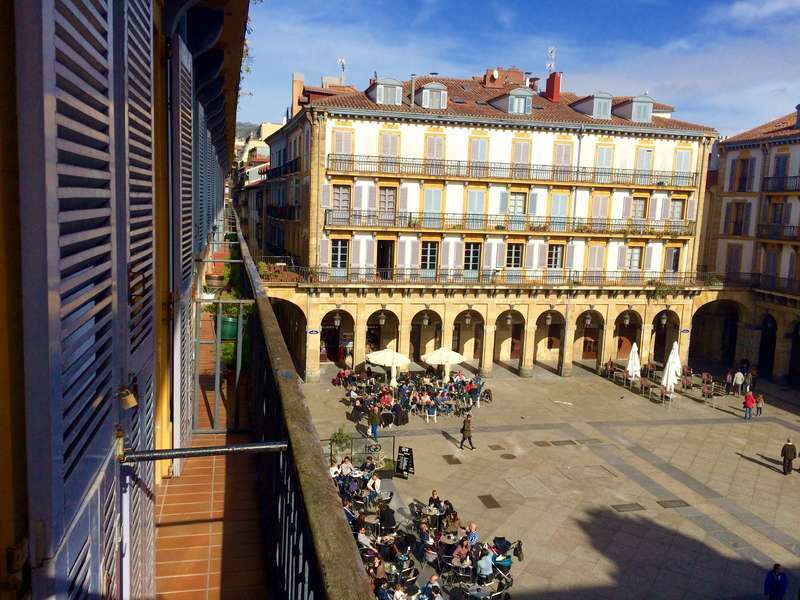 With 2 balconies facing the most emblematic square of San Sebastian, the 'Plaza de la Constitucion',(the old bullfighting ring). It is in the middle of the Old Town next to the museums. Between both main beaches, to 2 minute walking to La Concha beach and Zurriola beach (surfers one). 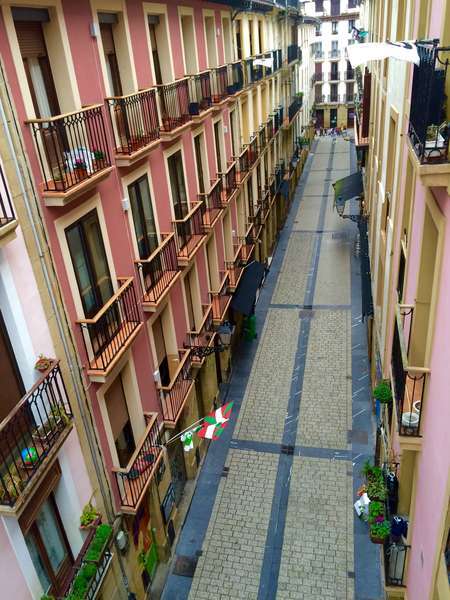 With this location you are just metres away from a big selection of restaurants, bars and everything else a visitor could want in San Sebastian. Also, as our staff live on the floors, our care and attention to your needs is above and beyond! By plane: There are two flights daily from Madrid to San Sebastian, and one flight from Barcelona. The airport is situated in Hondarribia/Fuenterrabia. 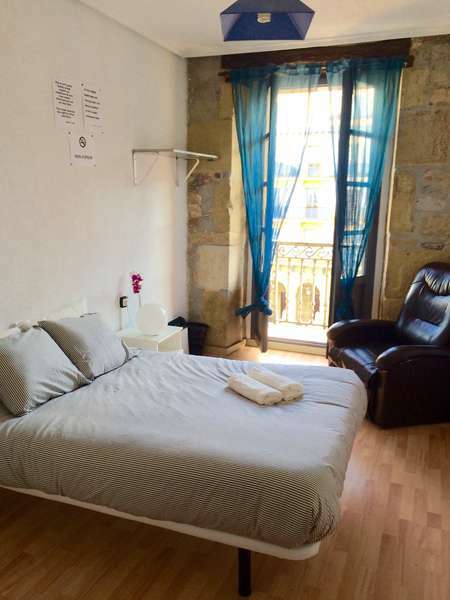 You can get a bus or a taxi to San Sebastian. It could be a good idea to travel over night from Madrid or Barcelona (around 6 hours from Madrid and 7 from Barcelona). From Paris you can get the TGV (High speed train, around 5 hours) that takes you to Irun. The TGV works with the French train company SNCF. In Irun you just get the regular train which takes 20 minutes to get to San Sebastian. 24 hour cancellation policy, please advise us if you wish to cancel a booking otherwise you will be charged. Check in time at 1pm to 11:30pm.